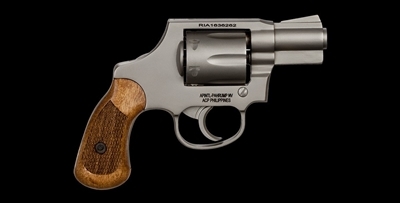 The M206 Spurless Revolver is ideal for self defense and concealed carry with a 2" fully shrouded barrel and spurless hammer, fixed front sight, and smooth channel frame cut rear sight. It's designed to perform when it counts and is chambered in 38 Special. It also comes equipped with a checkered wood grip and a classic matte nickel finish.